Gone are the days of the “evil CRM” that salespeople tend to avoid. 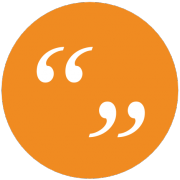 We’ve given organizations a platform that provides capability for companies to have one focus on prospects, customers, and partners. 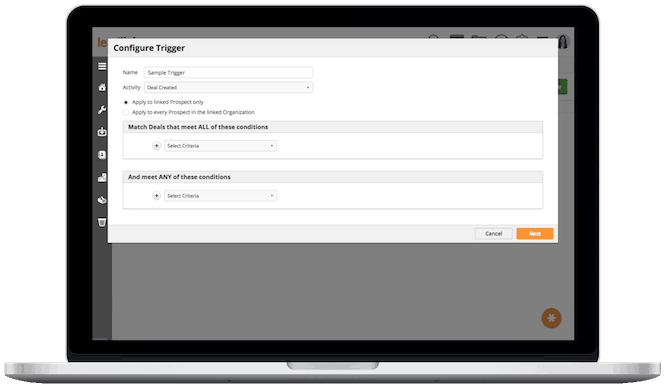 We’re making data entry easy so that salespeople can be more efficient. 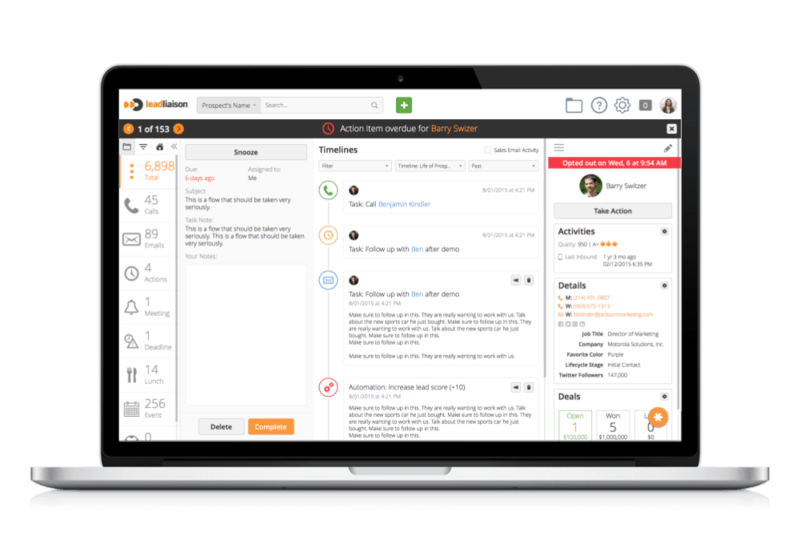 Powerful features make OneFocus™ CRM not only the best CRM solution in the industry, but it also completes Lead Liaison’s suite of solutions, making us the most powerful marketing and sales solution provider in the world. 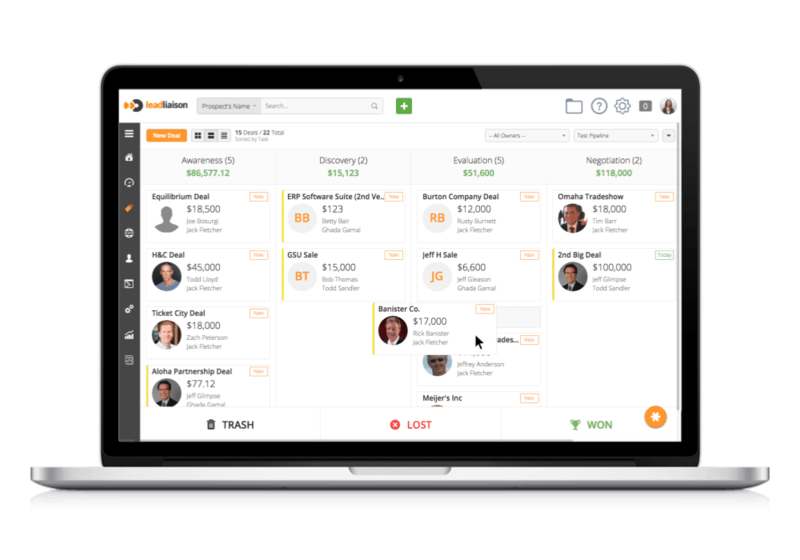 Get rid of your administrative nightmares, let your CRM go to work for you, and have fun filling it with data! 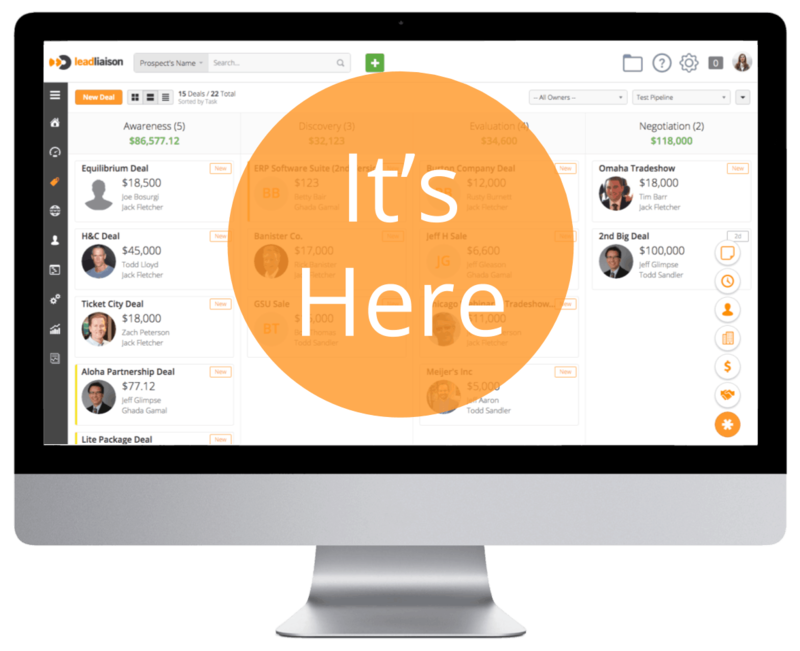 Say hello to your free CRM. Interested in learning more? Request a free demonstration of this exciting new solution! 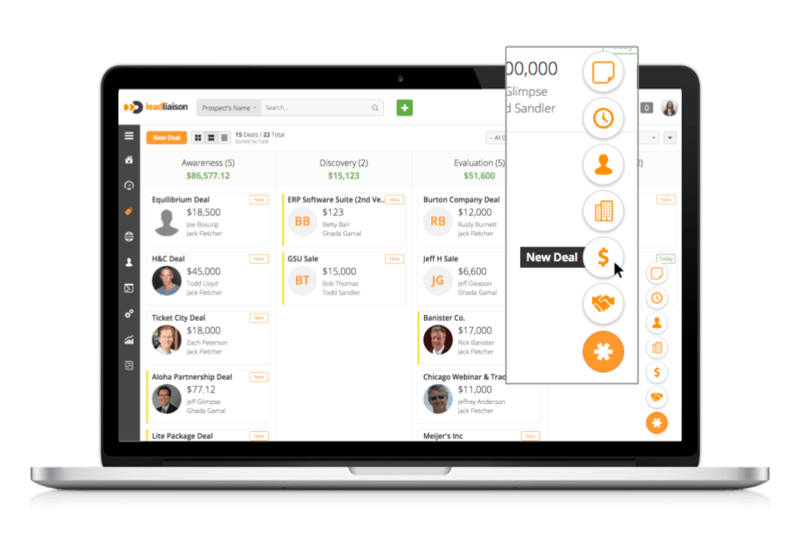 Side Panel Modules include Attachments, Contracts, Prospects, Deals, and Field Details – customizable for each user. Prospect pages feature an elegant, modern interface that includes Timelines. Pipelines offer drag and drop functionality of “cards” with the ability to build and manage more than one pipeline. Complemented by a traditional table view and new “mini cards”. 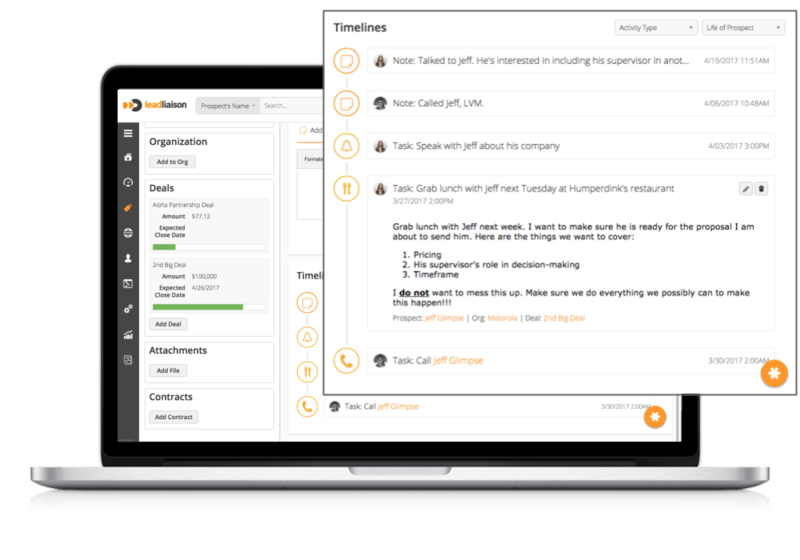 Sales shortcuts allow quick creation of Deals, Prospects, Tasks, Organizations, and Contracts with a single click. Task Manager includes managing and tracking tasks with a task management wizard. 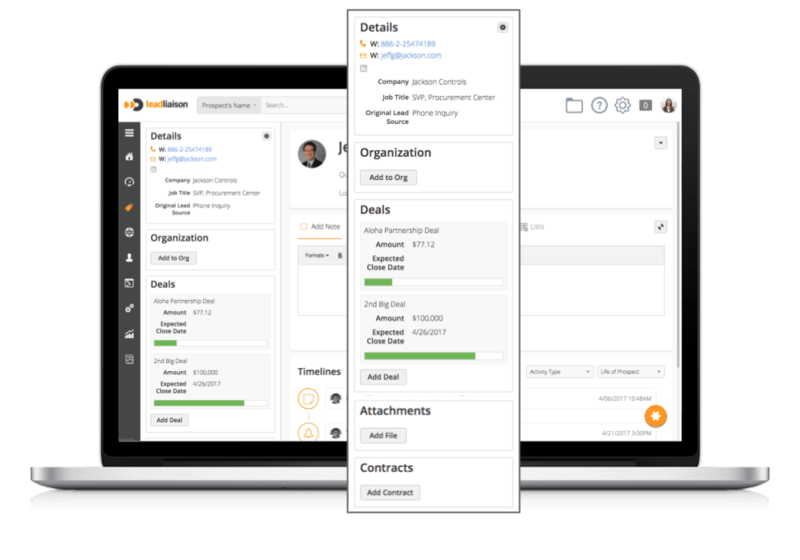 Automate business process when Deals, Tasks, and other OneFocus™ objects change. For example, send the team a notification or post to Slack when a Deal is closed or Task is created.